Wipeout still has some moves to show. Studio Liverpool may be long gone by now, but thankfully their legacy has officially outlived them with Wipeout Omega Collection. Omega is hardly a cohesive collection of the entire history of the series, rather collecting the best of modern wipeout and giving it one hell of a spit shine. The end result of that effort is a fantastic introduction to the series, and the single best showcase I’ve seen for PS4 Pro. I couldn’t blame anyone for being new to anti-gravity racing, since the two major names in the genre have been long dormant. It’s a very different feeling from something like a Forza or a Mario Kart, as Wipeout’s vehicles hover just above the ground and don’t play by your petty physics. You don’t so much drive your vehicle as gently aim it around the twisting, sometimes sideways or upside down tracks, ricocheting like a pinball against a wall and having to maintain your vehicle integrity. "Omega finally frees 2048 from the confines of the long dead Playstation Vita, and packages it together with the complete Wipeout HD and its Fury expansion all within a singular universal front end menu." The game slowly asks you to master the distinct maneuvering through a wide variety of events, from straight races, to time trials and speed laps and combat centric brawls. Most of the modes are self explanatory and universal, some are game specific but a universal factor is that they aren’t explained within the game. I was forced to intuit some of the stranger events such as Zones, which asked me to maintain an automatically accelerating vehicle as it continually sped up for as long as I could, or dive into the digital manual. Let’s be real, nobody is going to look for that. Omega finally frees 2048 from the confines of the long dead Playstation Vita, and packages it together with the complete Wipeout HD and its Fury expansion all within a singular universal front end menu. All three titles are well known for having a lot to do within each, on top of mastering its systems and multiplayer racing. If you’re the gamer who likes to get a lot of gameplay content per dollar, the value here can’t be overstated. While both ask you to progress in slightly different ways, such as earning EXP and following a career path in 2048 or earning enough gold medals to advance in HD, Smartly sticking to the two immediately previous incarnations of the series means that they largely play identically, and the package is more cohesive than any compilation before as a result. "Omega hits a rock solid, true 4K at 60FPS, regardless of what’s going on, even in multiplayer." That’s not to say that there are no differences between the two styles, that would have been unavoidable. 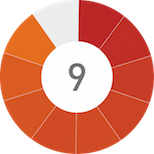 The controls and handling work nearly one to one, especially with vehicles that cross over, making darting back and forth between games if a certain event isn’t working out for you super easy. The UI is the single part of the experience that was even a little jarring, as HD and Fury use a different one from the far cleaner looking 2048 and they each place critical information in different places on the screen, such as ship health or your current weapon. I won’t fault the work that they did pour into the ports to say they should have come up with a more universal UI, because the conversion they put into the visual department is second to none. Omega hits a rock solid, true 4K at 60FPS, regardless of what’s going on, even in multiplayer. The textures from the Vita have all been completely redone, and given bump mapping effects to feel in line with modern console standards. While there are still a very few examples of strangely simple geometry on background pieces, particularly on 2048 tracks, the updates they did especially with points you’ll see during a race goes beyond a simple level of detail bump. Post processing effects like added shadows and completely new global illumination give even Wipeout HD tracks a completely new lease on life. "If I had to pick out something that seemed lacking about Omega, I would have to say I was disappointed about the omission of Playstation VR support." Online, the game performs just as flawlessly as it looks, and I found matches fairly easily and stayed in them with minimum issues. Split screen multiplayer works and looks just as flawlessly as playing solo, and it’s fantastic to see more locally playable games on modern consoles. Completely customizable options for local racing lets you tailor the game no matter if you’ve got a pair of seasoned vets going head to head or want some casual fun. If I had to pick out something that seemed lacking about Omega, I would have to say I was disappointed about the omission of Playstation VR support. 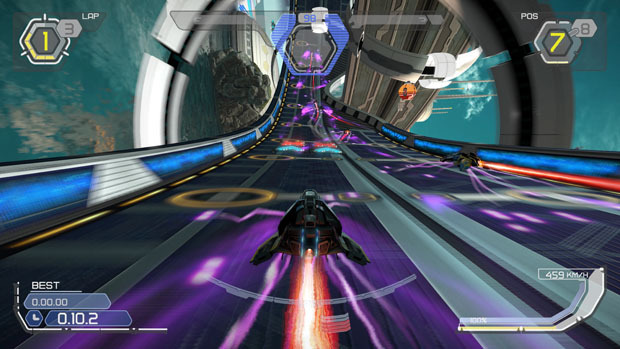 Sony has a previous track record of using their remasters to showcase their current accessory d’jour, and the high speed thrills of a Wipeout game seem almost perfect for it in concept, since there’s no cockpit render to consider in first person view. Not a dealbreaker, as it was never promised to begin with, but disappointing nonetheless. Maybe if they do a new one. 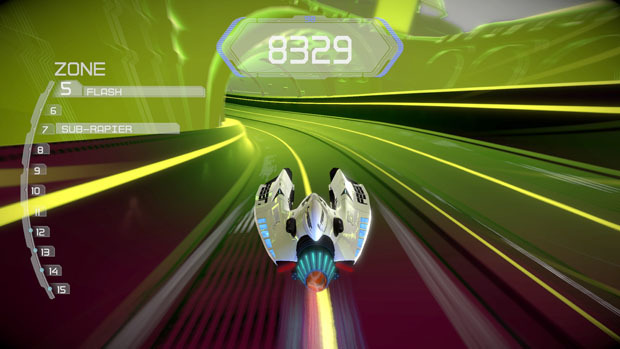 Will Wipeout Omega Collection herald a return from the series with a proper PS4 instalment? God I hope so. The visual updates to these beloved and well designed games deliver the cleanest look I’ve seen from the PS4 Pro and hit a rock solid framerate. 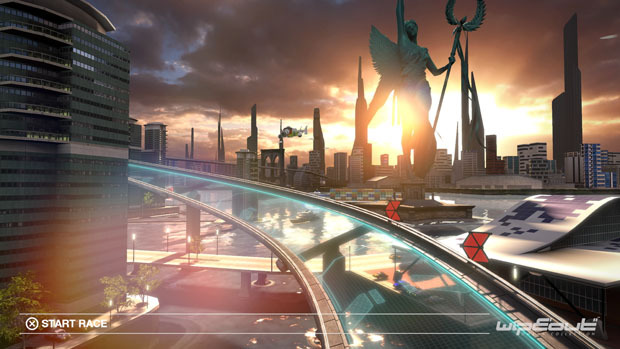 Lifting the fantastic 2048 from the Vita and bringing it to a standard expected of the PS4 is great already but packaging it with two other content complete Wipeout games lends the game a ton of value, and some small nitpicks with UI and a handful of examples of less than stelar modelling work can’t take that away. The ghost of Liverpool can rest easy, their legacy has been taken good care of. Lifts the excellent 2048 from the dead Vita, along with HD and Fury and gives them all a truly amazing visual update. 4K 60FPS locked on Pro, even in Multiplayer. Tons of stuff to do between all three games, and the harmony between them in controls lends it a cohesion that makes it easy to pick up whatever event in whatever game. The game doesn’t do enough to introduce the intricacies of the more unique racing modes, the racing UI between 2048 and HD has some inconsistencies and moves key information around. A select few places geometry wasn’t updated as much as it should have been, disappointing lack of PSVR support. There are a couple of nitpicks too many against Wipeout Omega Collection from being a flawless package, but the sheer hours of racing that you’ll get from the game, how gorgeous it looks and how well the mechanics hold up earn it an easy and complete recommendation anyways.